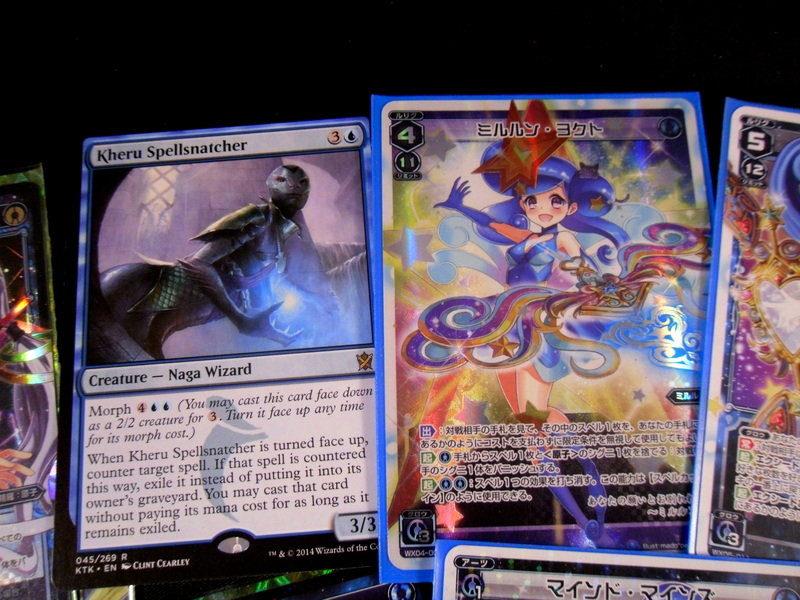 I got the Odd Eyes tin to get a copy of Elder Entity Norden, the card once feared to destroy the tcg. This card is clearly absurd and its utility in hundreds of decks make it seem very likely that either him or his partner in crime Instant Fusion are going to be hit on the next banlist. So this list (which you can view here) came out 10 days ago and at this point it makes more sense (I think?) to discuss my opinions really quickly. I mean the new tcg list could up now as I type this! This right here needs to happen maybe not now, but sometime down the road. Ptolmaeus allows any rank 4 spam deck (cough cough Performages) to make Cyber Dragon Infinity, which is rank 6 miniature Silent Honor Ark fused with Quasar. While usually requiring Cyber Dragon Nova to be played, Ptolmaeus allows you to cheat it out very easily. Norden or Instant Fusion also has to go. Personally, I’d rather lose the cup of ramen over Norden, but it is what it is. 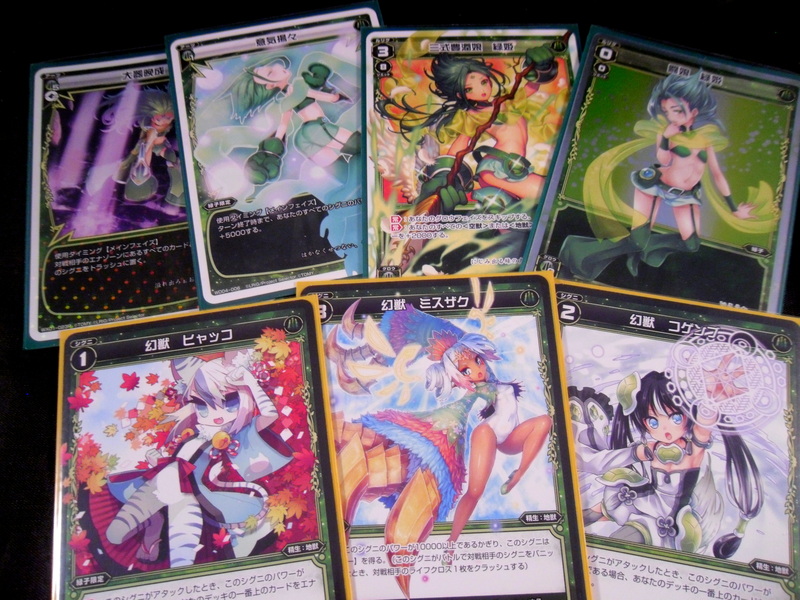 That was way too many shorts quips about cards. 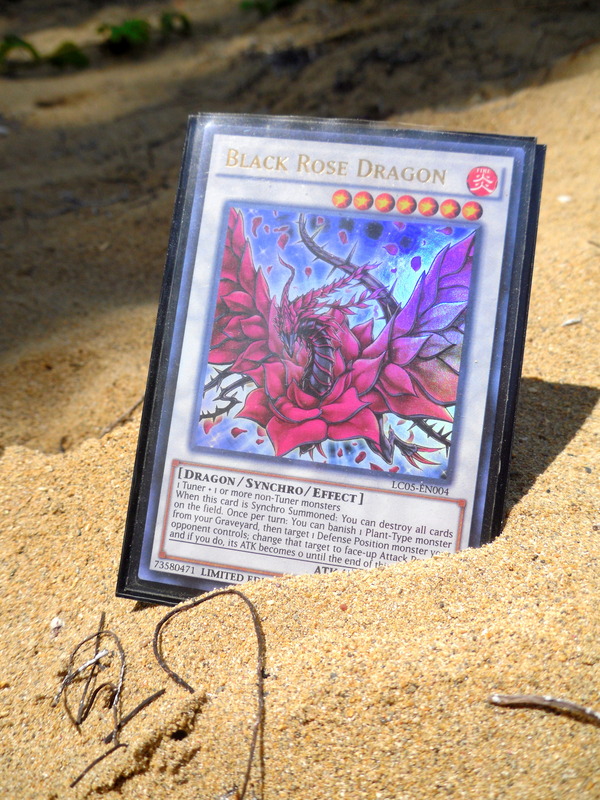 Time for something more important like preparing for the BFZ pre-release tomorrow! A friend showed me this site to test pools for BFZ. That combined with thoroughly reviewing the set (274 cards though!) is how I’m getting ready for the event. 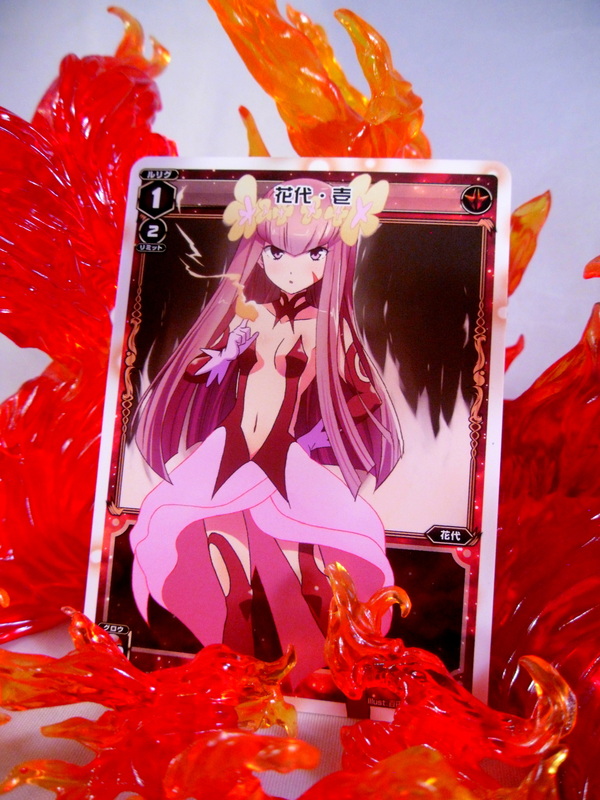 Sadly, the only card I know I want and will actually play in any deck is this one. I’m also not getting the box of BFZ at present. There’s just too much reason telling me that it’s a bad idea. I don’t want or need the vast majority of the cards in the set. 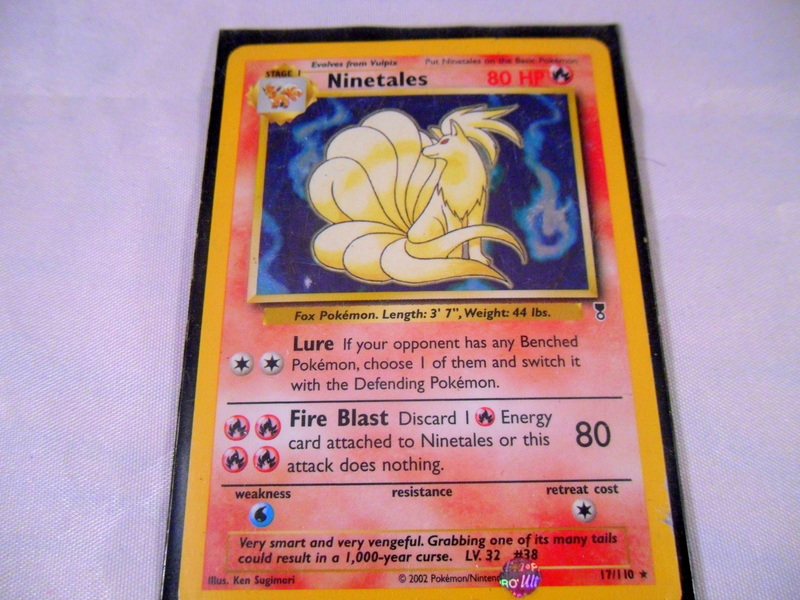 Also I’m still certain that the re-sale value of most of the rares will be negligible. 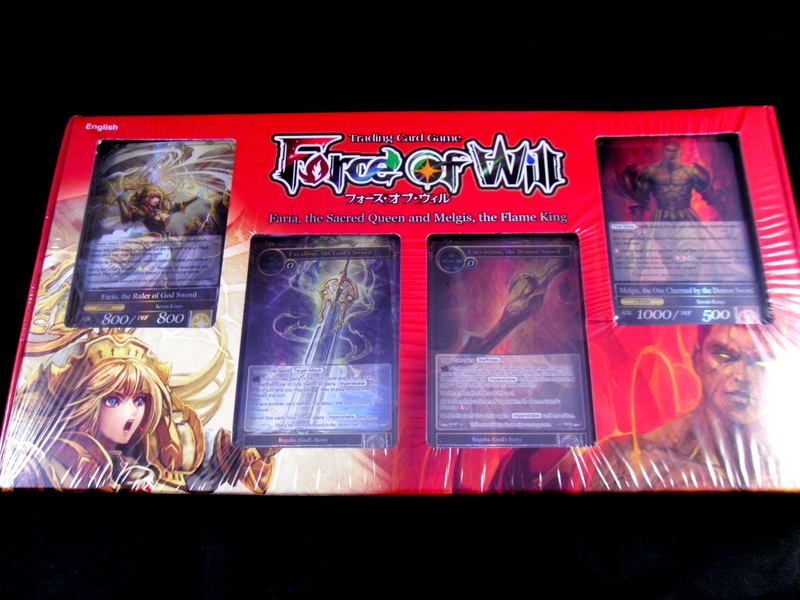 So I bought the recent Force of Will dual starter decks on Amazon. I was recommended this set by a friend who was also starting the game. The set included 2 decks for $27. It seemed like a good deal and I really like the art of the cards included. 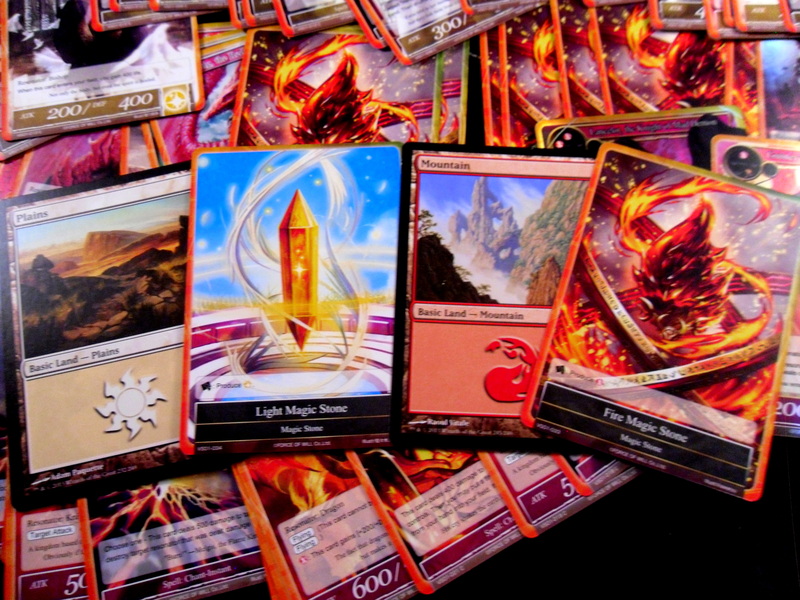 The deck comes with the Magic Stones that function like lands in Magic. I added some basic lands for comparison. 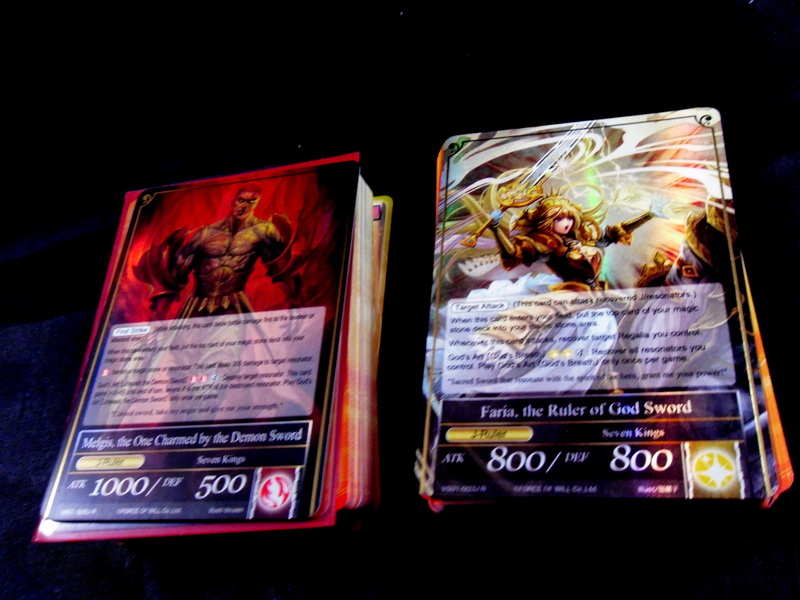 The 2 J-Rulers of each deck, which are like your EDH Commanders. I played EDH tonight (as usual). I made it my goal to get sleeves for the new decks along with a Spellskite. 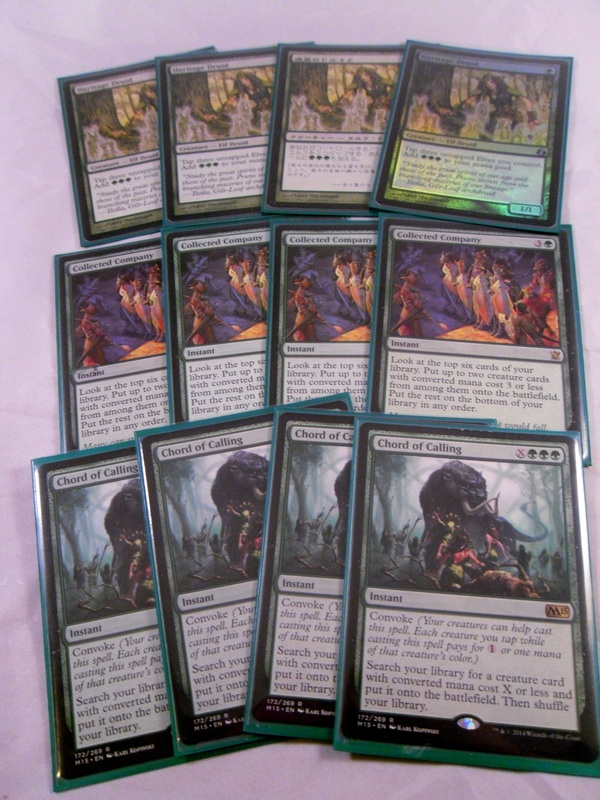 On the plus side my modern deck is pretty much… done? I’m not prepared to buy Cavern of Souls, but ever since getting a play-set of Heritage Druids my deck has worked really well. I’m really enjoying playing Modern with my friends of late. I picked up a 3rd Exquisite Firecraft in preparation for Game Day, but realistically I’m competing just for fun. I built a Prediction Princess deck, cough cough because somebody used it in the show. Now it’s time to wait until Clash of Rebellion drops so I can get the core for the Performage deck. 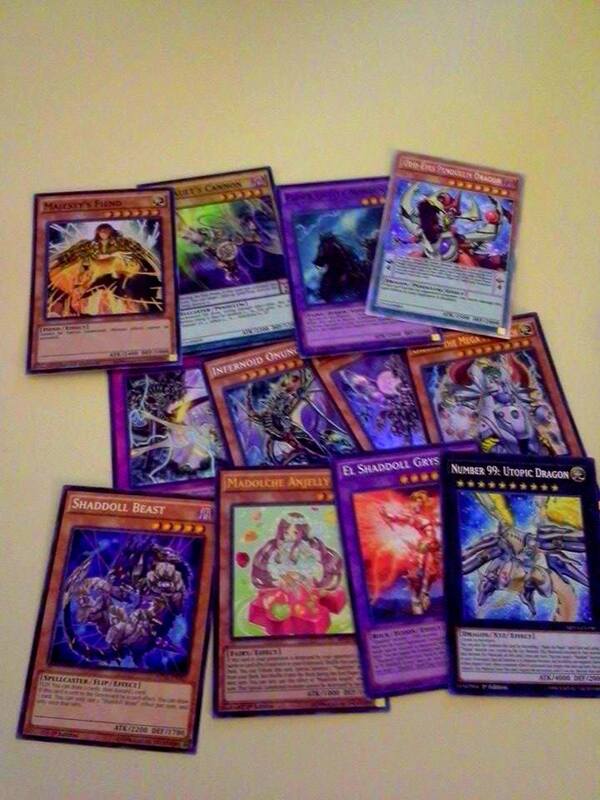 My only Yugioh goal is to keep building decks for show character’s that I can build for less than $20. Anyway, I’m crazy tired. This is probably good for now. My friend Nyan, the Master of Wixoss is coming to visit today so I thought I’d look over my decks before the coming challenge. 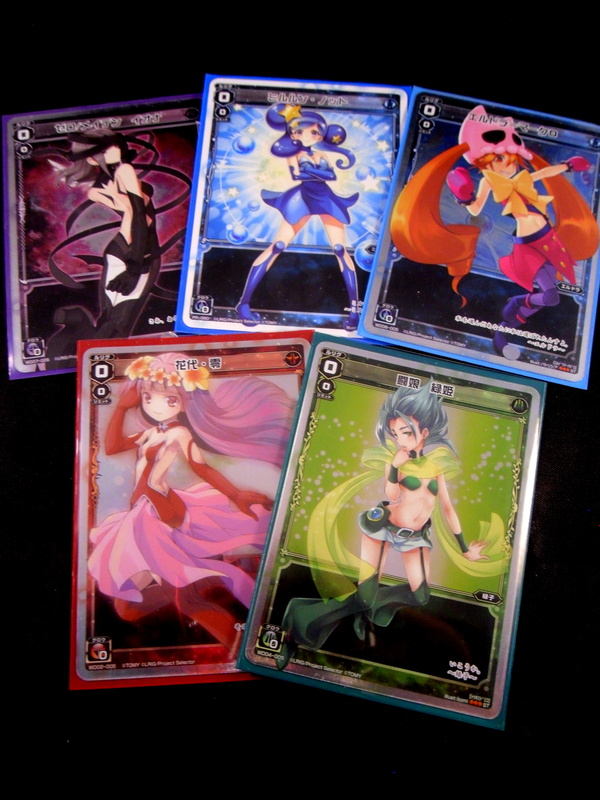 I’ve built 5 decks thus far (because I would) and I’ve found love for each of them in various ways. 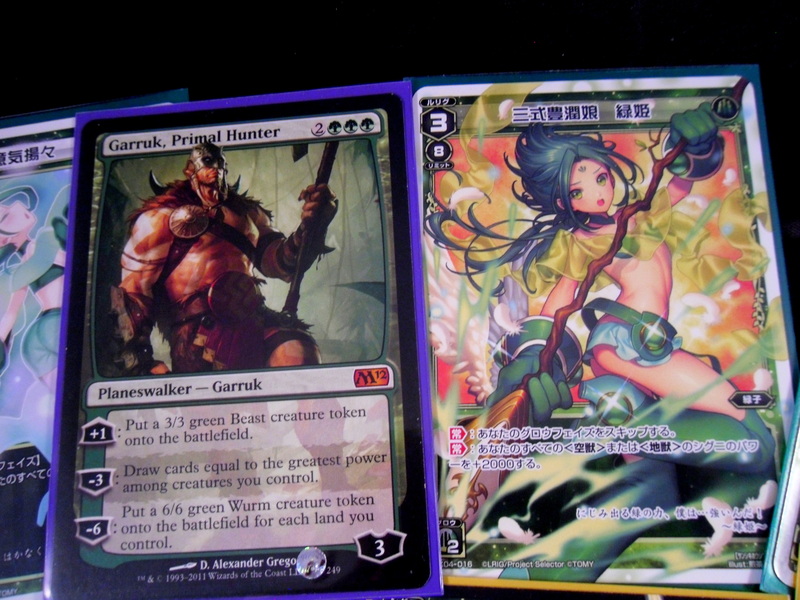 Hanayo is still a Mono-Red Aggro deck (much like my Standard deck… sort of). She employs a mix of burn spells to counterbalance running only lv 2 or lower signi. 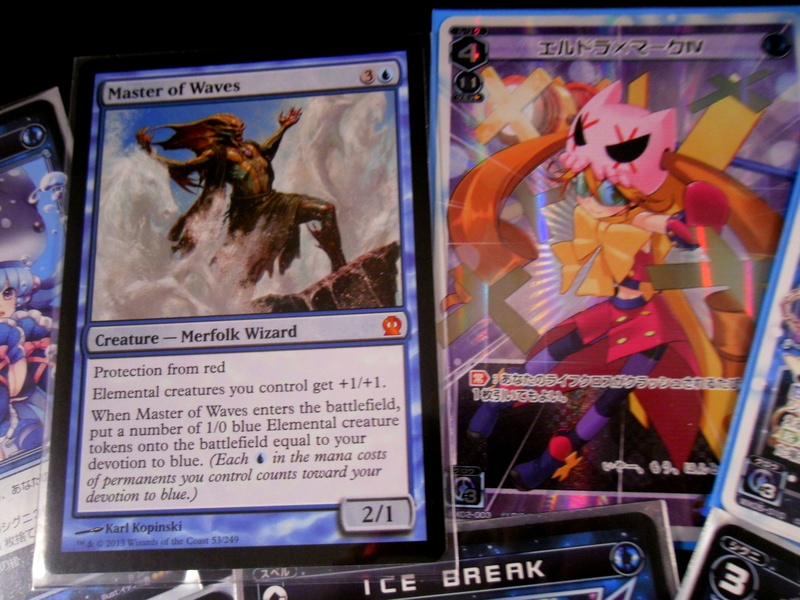 Eldora has become a Merfolk tribal deck using the Wixoss equivalent (Water Phantom). 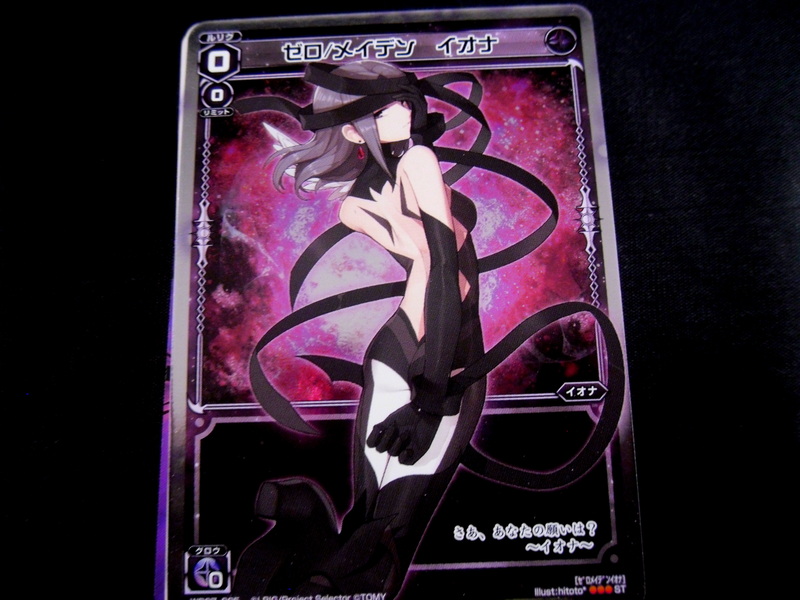 Iona is Black/White reanimate deck that seeks to make a lock using the lv 5 Iona and the Art Dark Matter. Mirurun is a strange combination of aggro, control and scry. She also has the power to steal spells. 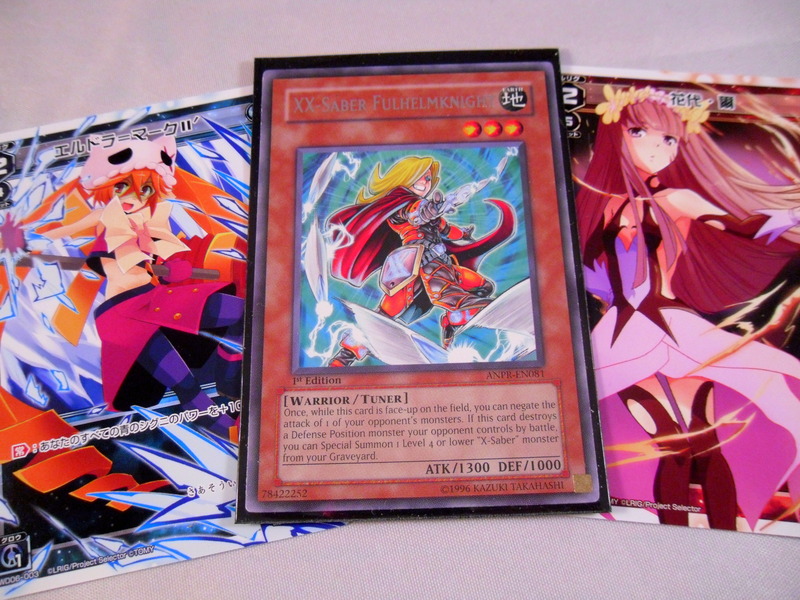 I just made this using the trial deck because I opened the lv 3 Midoriko in the set 4 box I opened ages ago. She gives her creatures Trample, sorry Piercing no wait it’s called Lancer. Anyway, the party already started! All these decks are about to undergo a lot of changes. Thanks for reading or much more likely looking at pretty pictures. Have a great day! 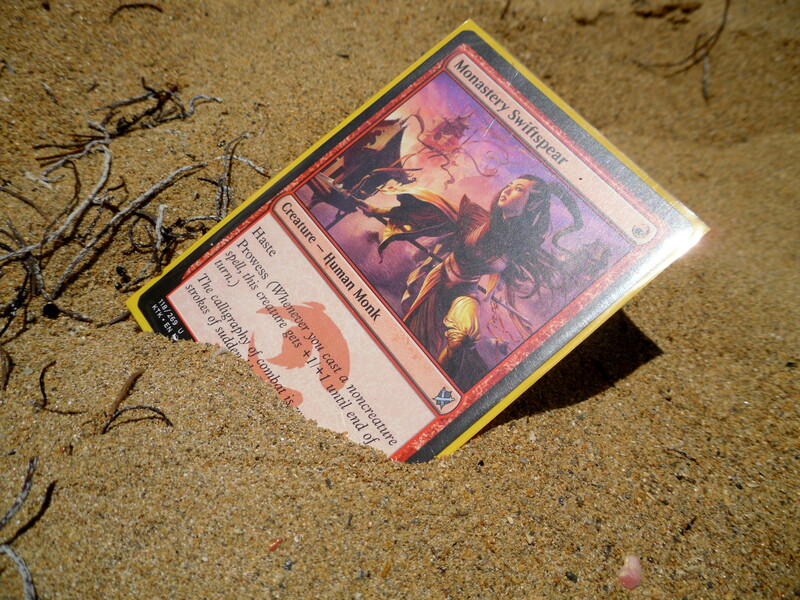 All I can do as penance is upload some pictures of cards I buried in the sand during my recent vacation. 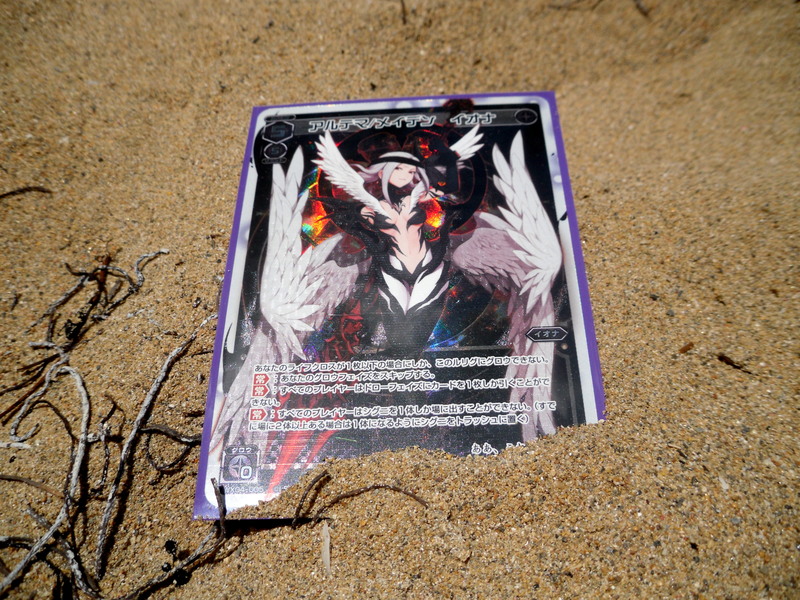 Yes let it be known that given the opportunity to visit to the beach I will sit around for an hour half-burying cards. 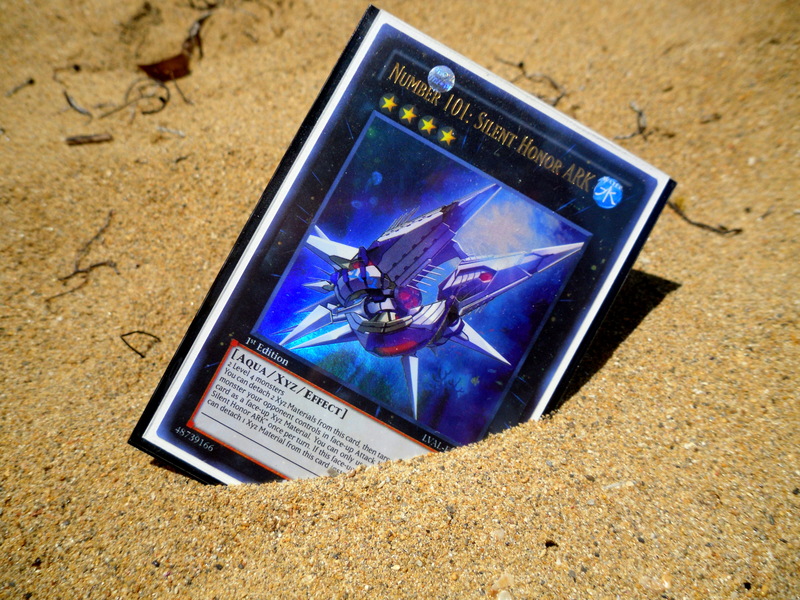 Clearly deserving to be left in sand. You know in hindsight I do realize that this was both foolish and unnecessary, but I had no one to actually play with for a long time. I also hoped that some of the pictures would be cool. 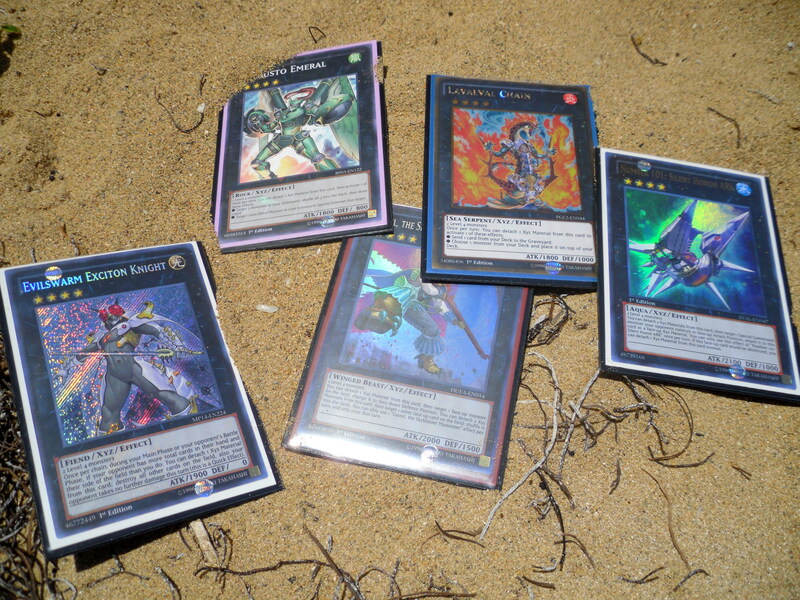 I think the only actual damage would be to the sleeves themselves, as I spent a long time knocking sand out of them afterward. Anyway, I am not dead and will return to post sporadically about card games later this week. Thanks for dropping by. 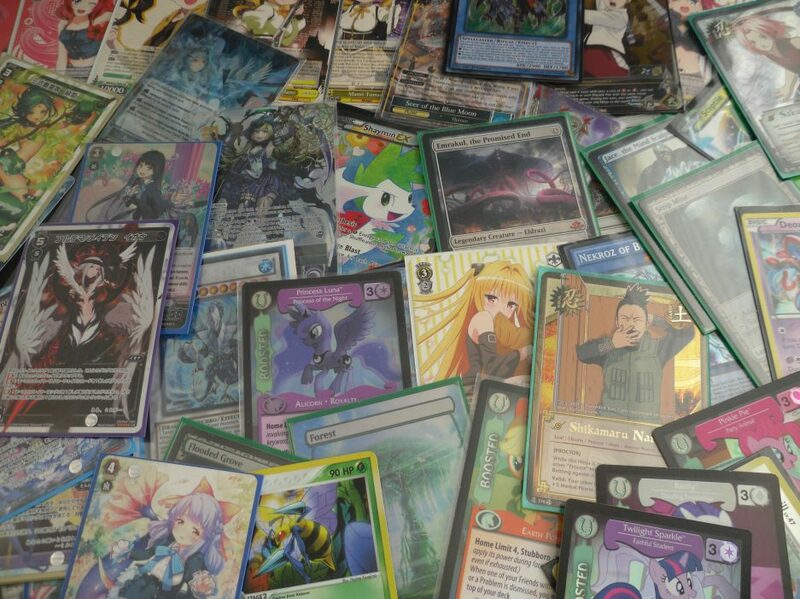 Imagine first of all that you’ve been buying trading cards since High School, and that while doing so you abandoned video games, vacations or any other thing a normal youth spends their money on. Secondly, imagine you have a penchant to build decks and then get bored of them rather quickly. However, after getting tired of your deck rather than take it apart you just leave it in a box (or my case a tin) for a few years. Well I have pretty much have done this my entire young life and now I decided to look back and see just how many decks I’ve come to have. That’s a lot of cards. 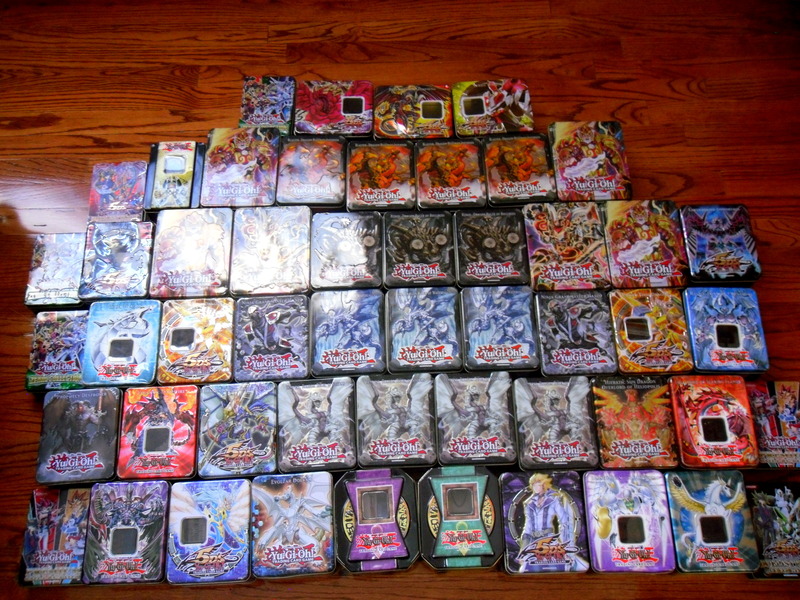 I really never stopped to see just how many decks were gathering dust in these Yugioh tins. 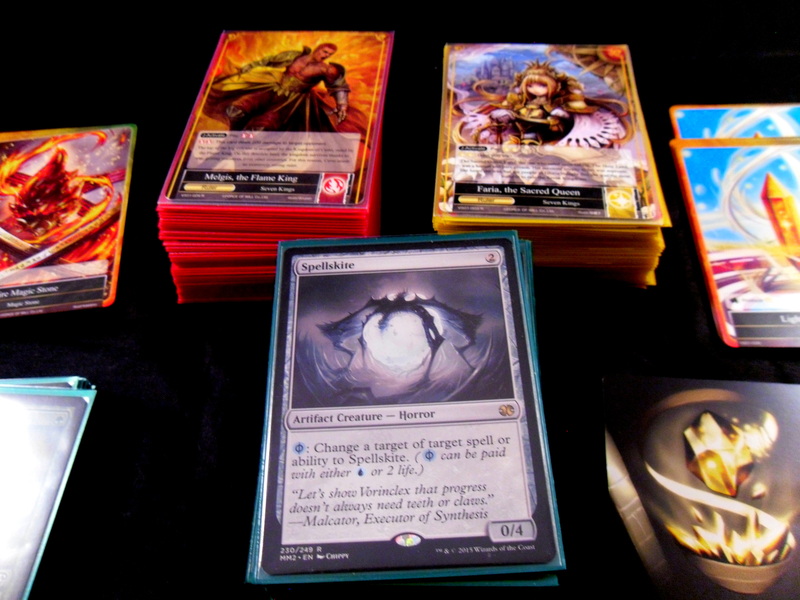 I don’t mean to sound disingenuous here as I actually do have a fondness for every deck I’ve built (except for maybe the Gruul deck, because I hate the Gruul…). 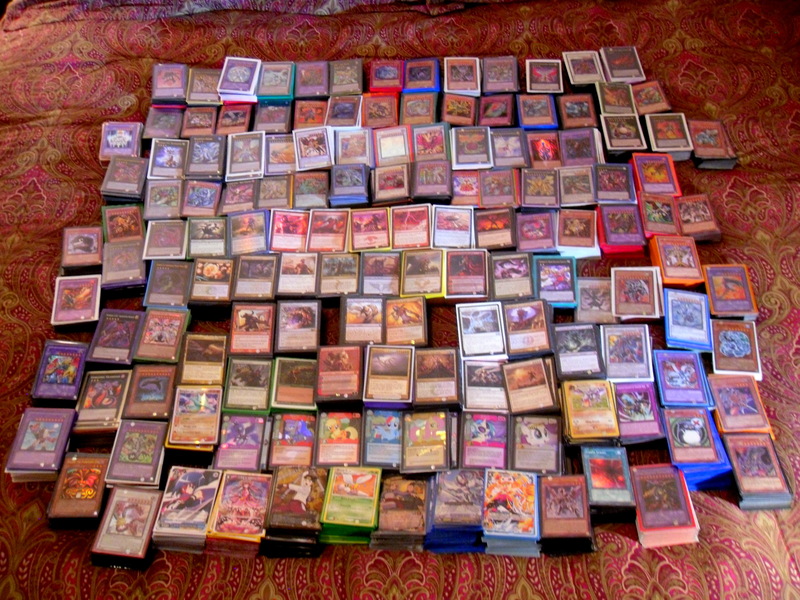 Anyway, the rest of this post will be how I came to build/acquire all of these decks. 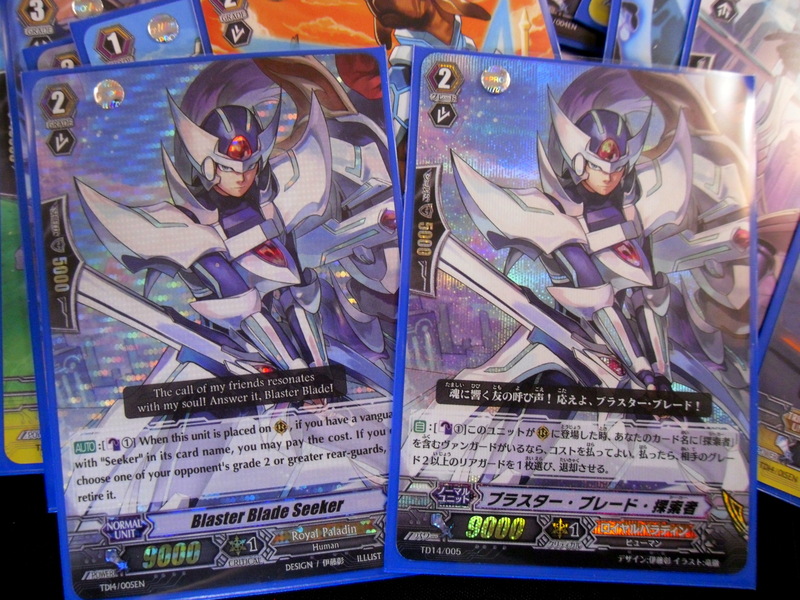 Royal Paladin (Seeker) – I was given a Royal Paladin deck by one of my closest friends after she returned from Japan. 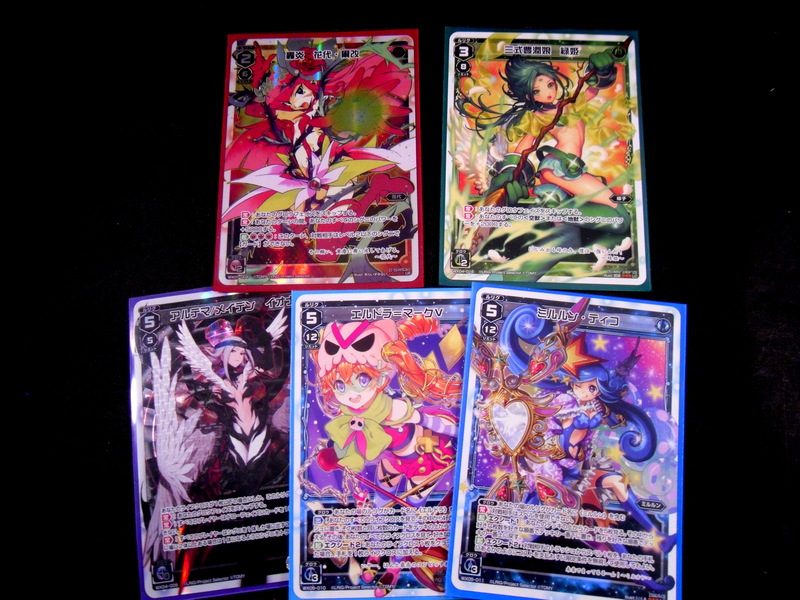 I then bought and combined it with an English copy of the same deck. I have no idea if in doing I made the deck any better as I’ve still never played it. 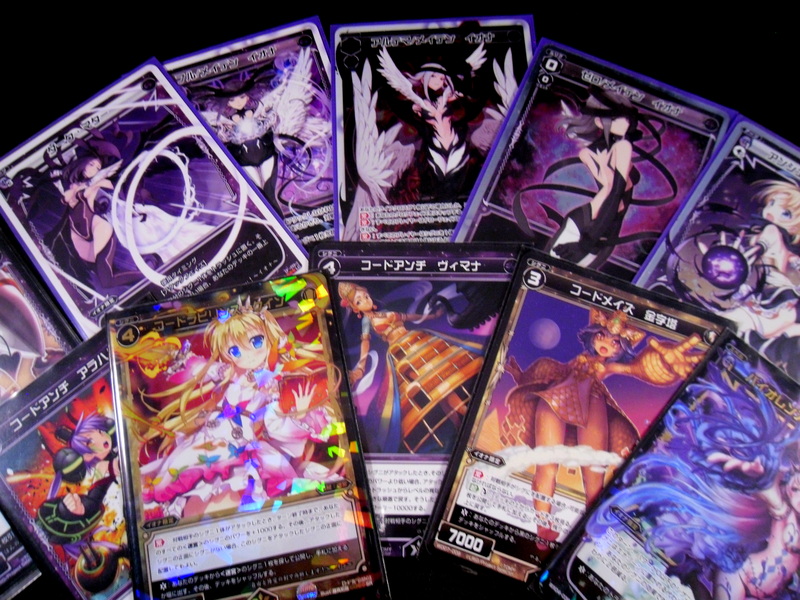 This is main and only Vanguard deck. 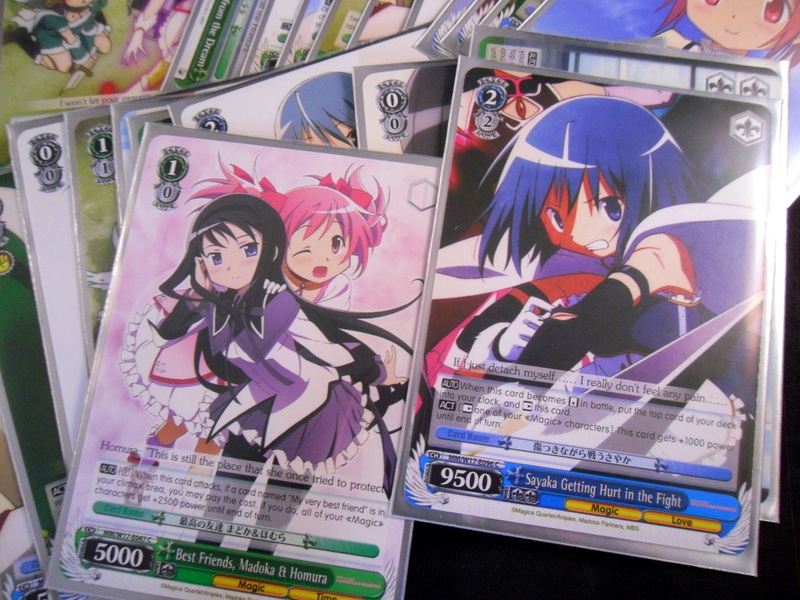 Madoka – Some of the worst decisions for one’s wallet are made in the anime convention dealer’s room. 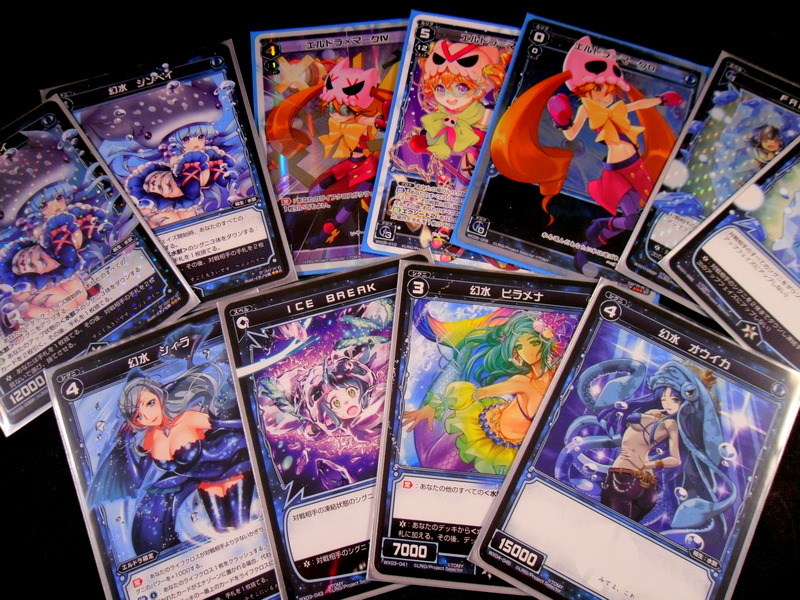 Mine was getting all of my friends to buy a Weiss Schwarz deck with me. 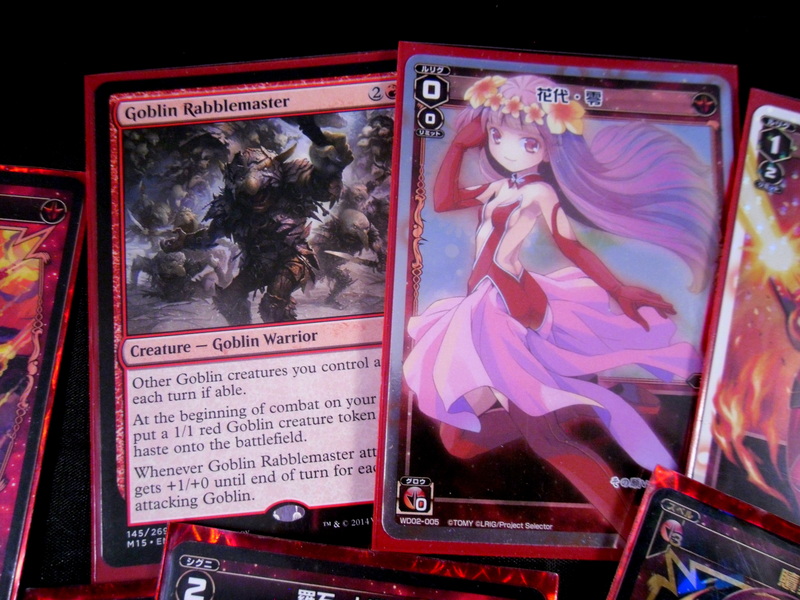 Madoka is my second favorite anime ever so when I saw the deck I caved despite not knowing anything about the game. 2 months later I can safely say I love the deck and that my only regret is not having any foils cards for it. Mental Power – I spent my whole middle school life getting destroyed in Naruto. 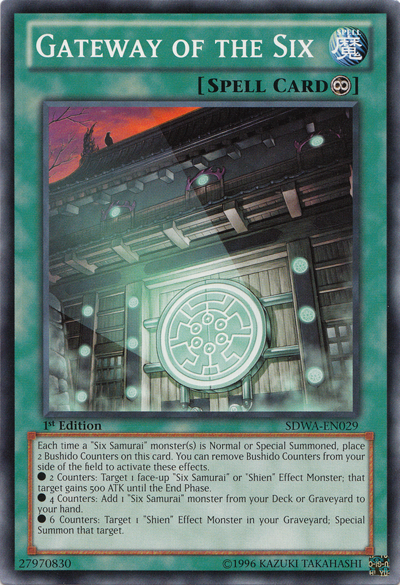 After failing to make a Kiba-based mill deck work I traded my entire deck for the basic pieces to build a Mental Power deck. This deck was ironically finished only after a $20 purchase of 2 cards from my school’s resident top player/dealer right as the school year ended. 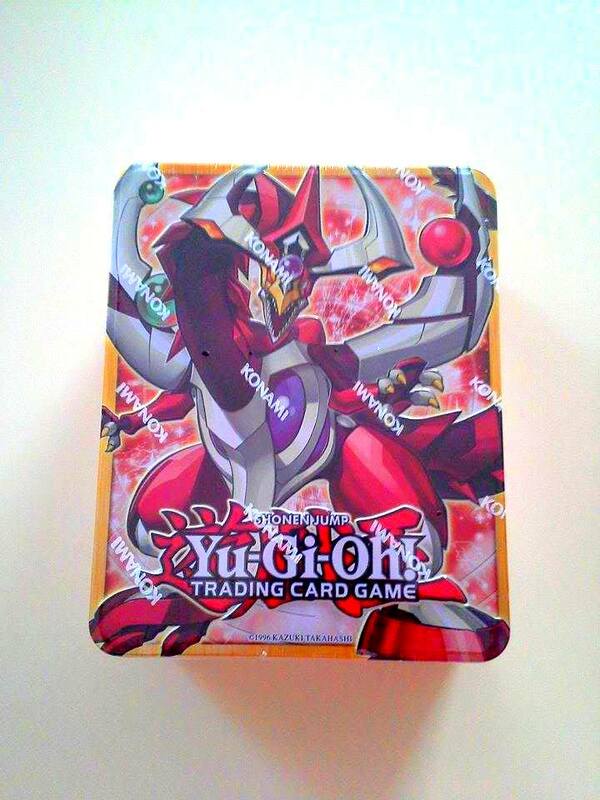 I then left the deck in a box (not even a tin) and gave away the rest of my cards. 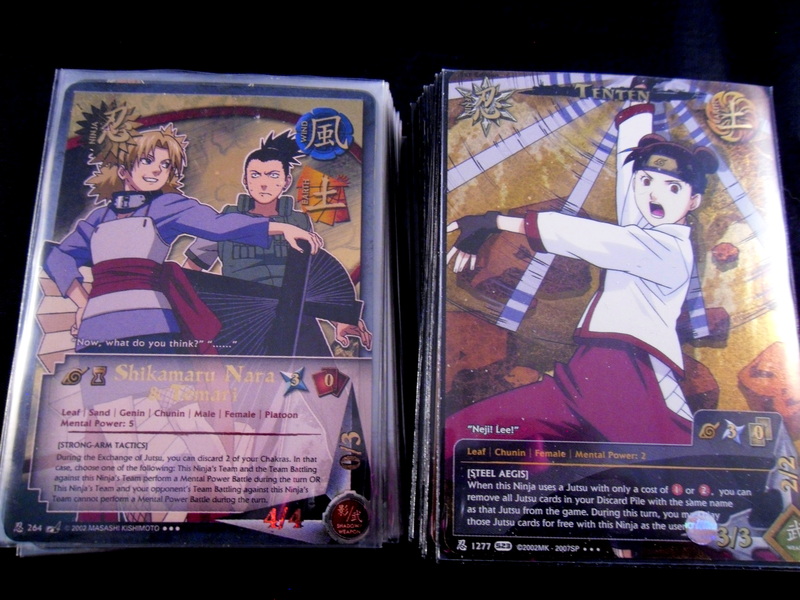 Tenten Turbo – After randomly getting back into Naruto thanks the same friend I gradually got bored of my consistent mental power deck and tried building another deck. This very wimpy 1010 deck was the result. Why Tenten? Because of all the characters in Naruto, she got a pretty awful deal. She was never relevant, her man died and didn’t get brought back (R.I.P. Neji) and she didn’t even get married in the end. My condolences was building a deck in her honor. Sadly just like her, it kind of sucked. Fossils – This Aerodactyl has an absurd ability that messes up the basic mechanics of the Pkm card game (it negates evolution, which doesn’t make any sense actually). I couldn’t help, but build a deck around it. Kingdra Ex – This Kingdra Ex was the only card I ever remember opening in a Pokemon card pack as a kid. I’ve tried to have a deck built for it ever since. Beedrill – Beedrill is one of my favorite Pokemon. 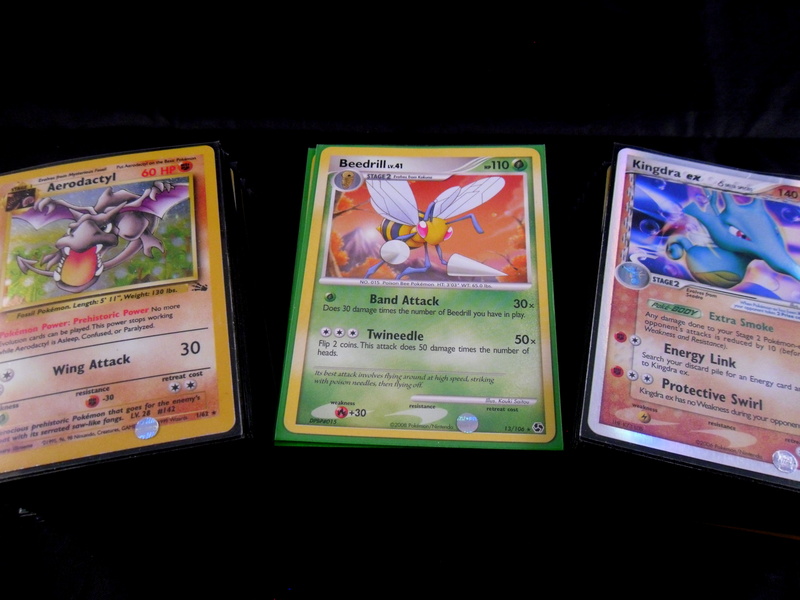 When I tried getting back into Pokemon last year I tried to make the best Beedrill deck I could with my cards from the late 90s. 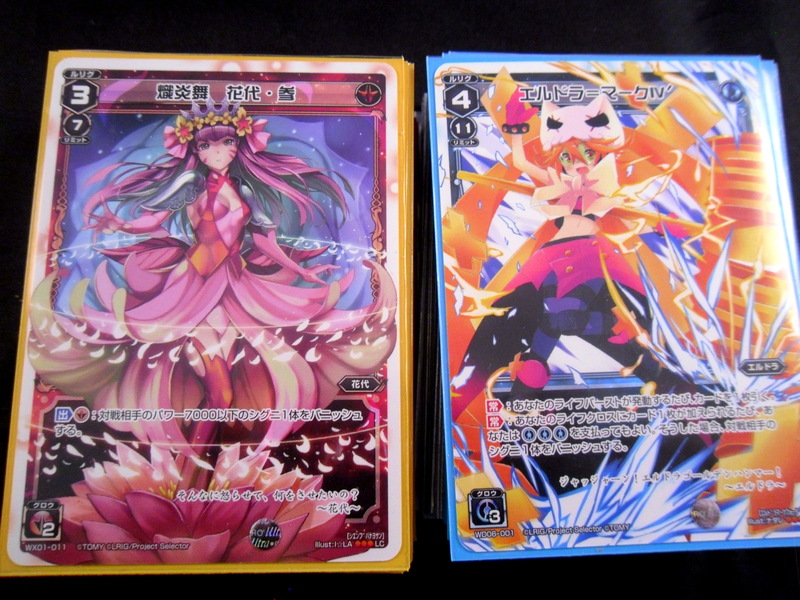 I was then soundly thrashed by a friend who had just opened her first starter deck. I’ve been slowly upgrading my Beedrill deck since then and while it’s not legal in any format that I know of beyond casual it’s my favorite and main Pkm deck. 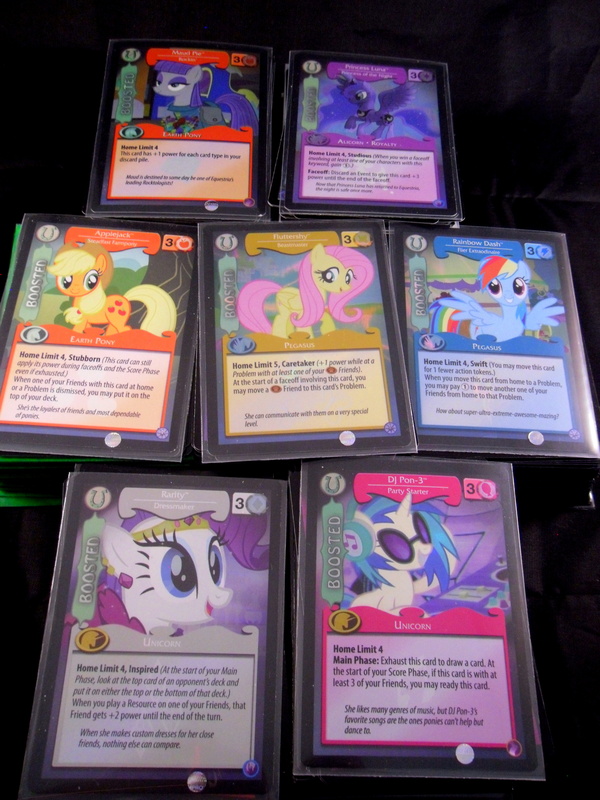 Rainbow Dash Swift – This was my first starter deck which was bought for me by a friend. I made some minor tweaks, but its still maintained the basic RD go really fast mindset. Fluttershy Caretaker – Another modified starter deck this time based on Fluttershy’s ability to get absurdly strong when teamed with her critter minions. Applejack Stubborn – Somehow Applejack has all of the Hand/Deck disruption. Neither of which is very honest, but nonetheless I threw all of her cards into this deck. Luna Studious – This was a Twilight Sparkle deck until Princess Luna came along and did everything a lot better. Maud Pie (Dredge) – Yet another tweaked starter deck, I only remember putting a lot of different card types in to fuel Maud Pie’s effect. DJ Pon3 (Control) – I tried really hard to put all of the elements of a Magic the Gathering Control deck into MLP. Pink/Purple had a myriad of Draw/Dismissal cards (kill spells) to abuse however, I only ended up playing this deck once so I’m not sure if I got it right. Rarity (Equipment) – RARITY IS BEST PONY. Ok now that that is out of my system, this was a deck I threw together with cards from the other starter decks and a few booster packs (mostly just Rarity and a pile of hats to be honest). While Rarity is my favorite pony I don’t think the deck ever worked if I didn’t open the right hat. 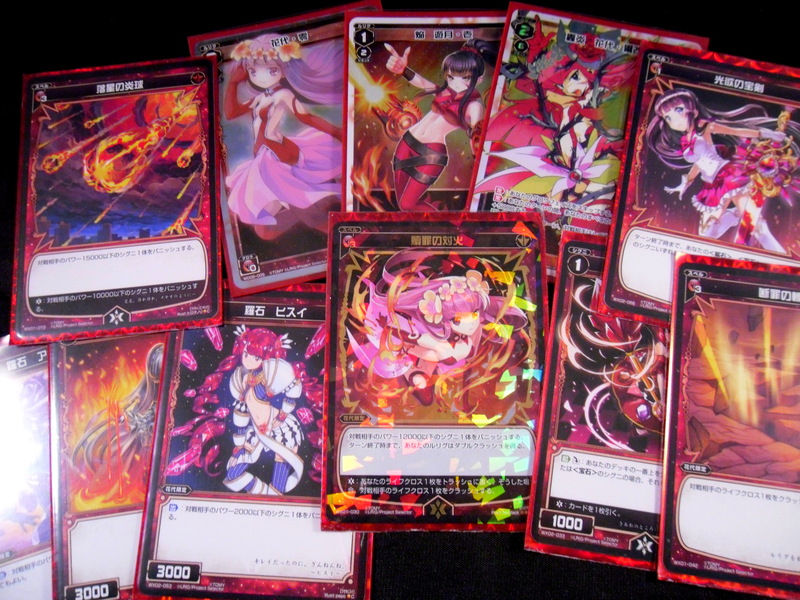 Hanayo (Red Aggro) – The series 1 Red Ambition deck tweaked with cards from 2 box openings. 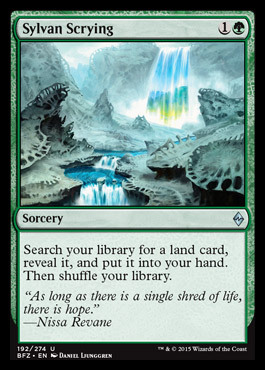 It plays like Mono-Red in Magic, burn your opponent’s creatures and attack directly in the first few turns (loses badly in the late game though). 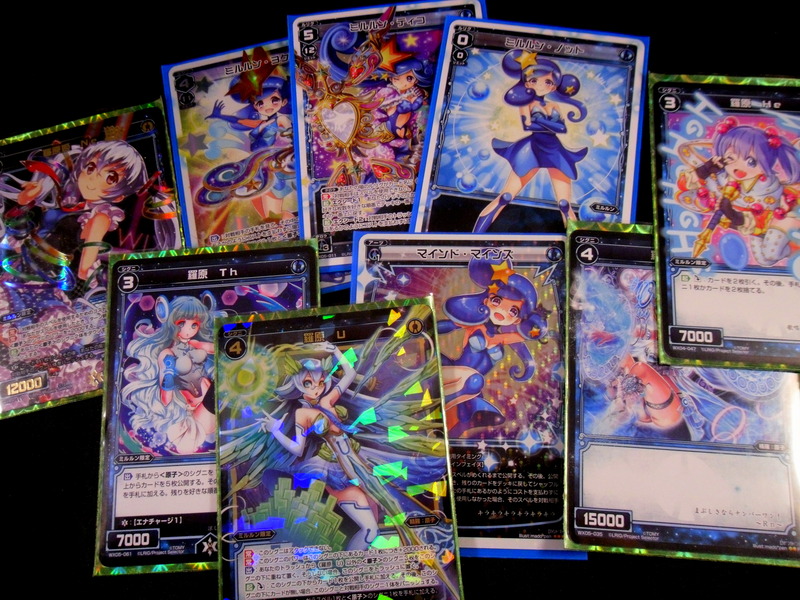 Eldora (Blue Combo) – The series 2 Blue Request Deck tweaked with the same resources as Hanayo was. I’ve never won a legitimate game with this deck, though it’s still the most interesting deck I’ve ever played in any card game. 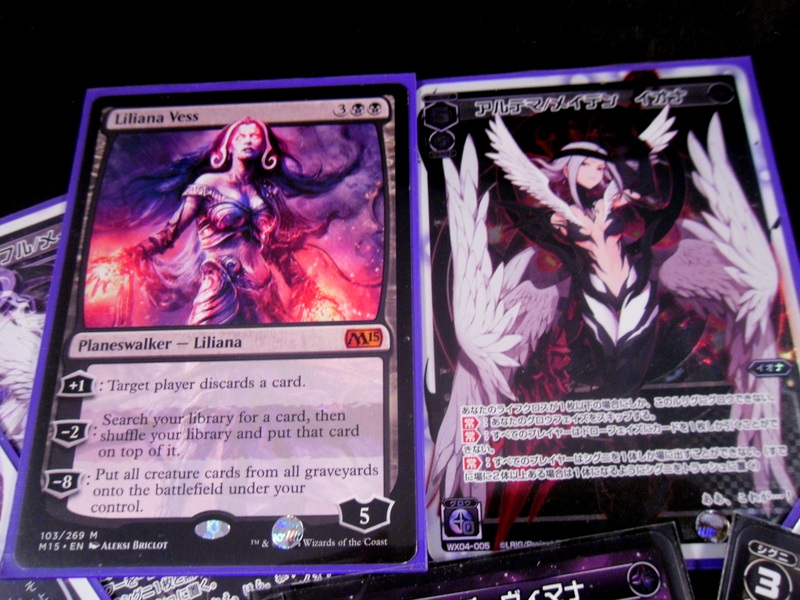 Iona (B/W Midrange) – The Black Crave deck unedited from the box. I started doing this for the Magic the Gathering decks and the word count got distressingly long so I’ll leave that for another day. Thanks for dropping by, 17 decks and counting! I’m taking a short trip this weekend and won’t be able to post for a little bit. 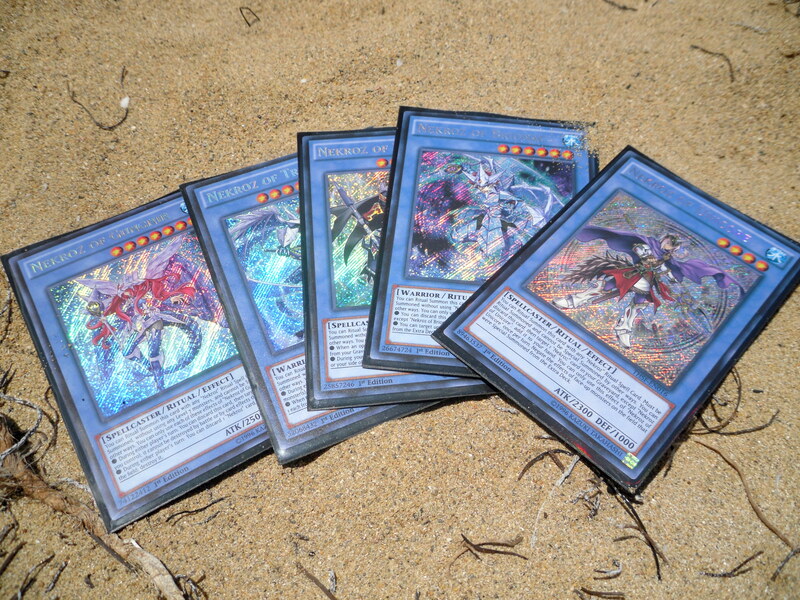 So here’s a bunch of pictures of cards in the meantime. That’s enough for now. more pictures later. Thanks for dropping by!